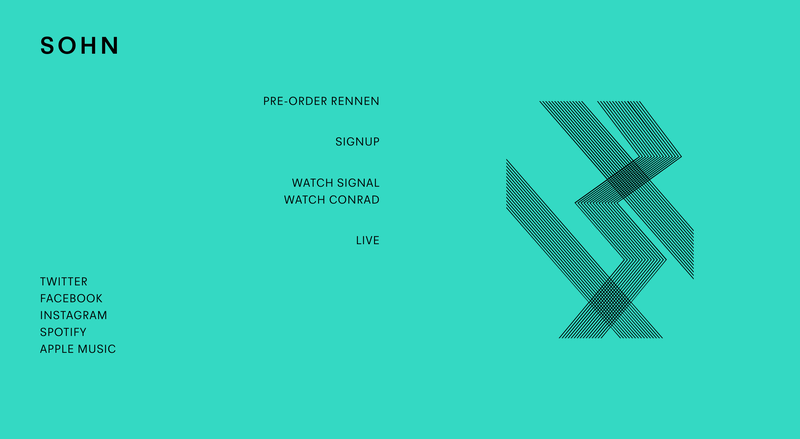 Colorful, minimal One Pager promoting the new album ‘Rennen’ by artist SOHN. Love how they styled the slick mobile navigation icon. Sohn (stylised SOHN), born Christopher Taylor, is an English musician, songwriter, and producer based in Vienna, Austria.